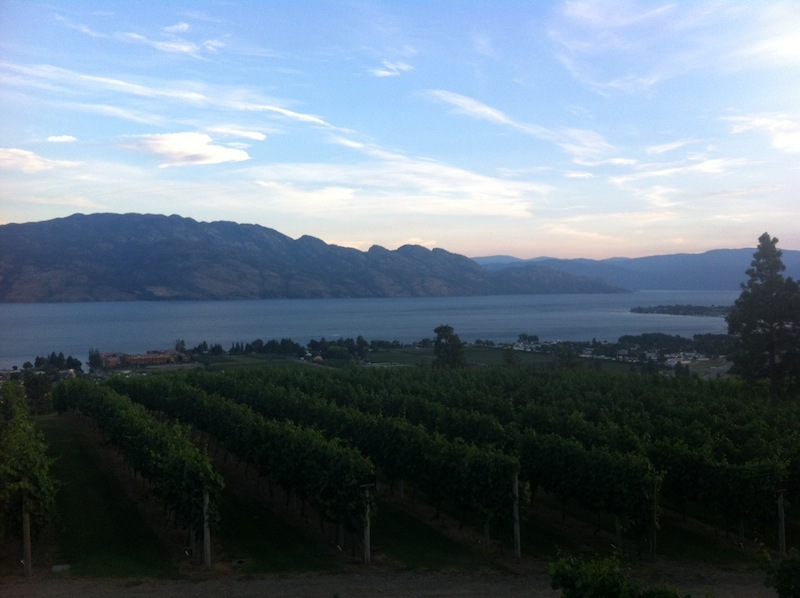 I'm on a whirlwind, 36-hour trip to the Okanagan Valley in Kelowna, British Columbia, known for its beautiful lake, amazing wineries, and emerging restaurant scene - staying on the grounds of the most beautifully perched vineyard, Mission Hill. 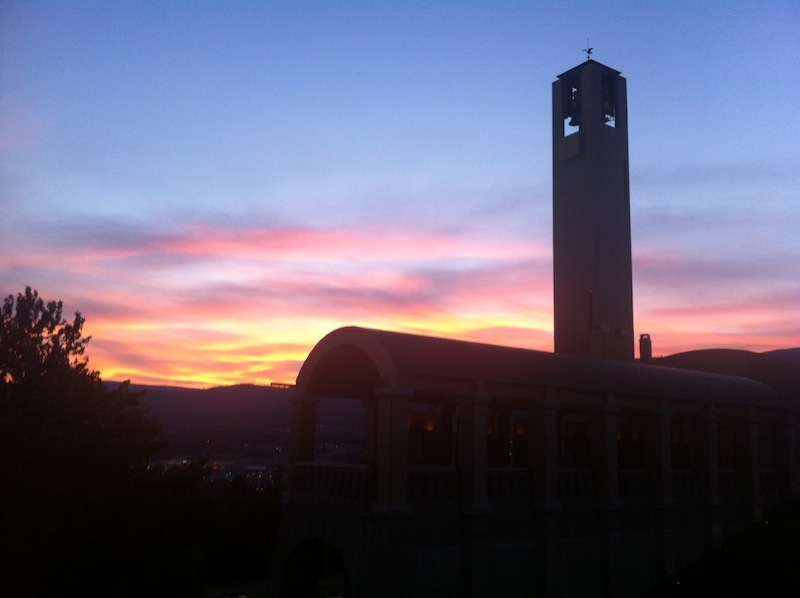 The bell tower lends a very European feel when it echoes through the winery. 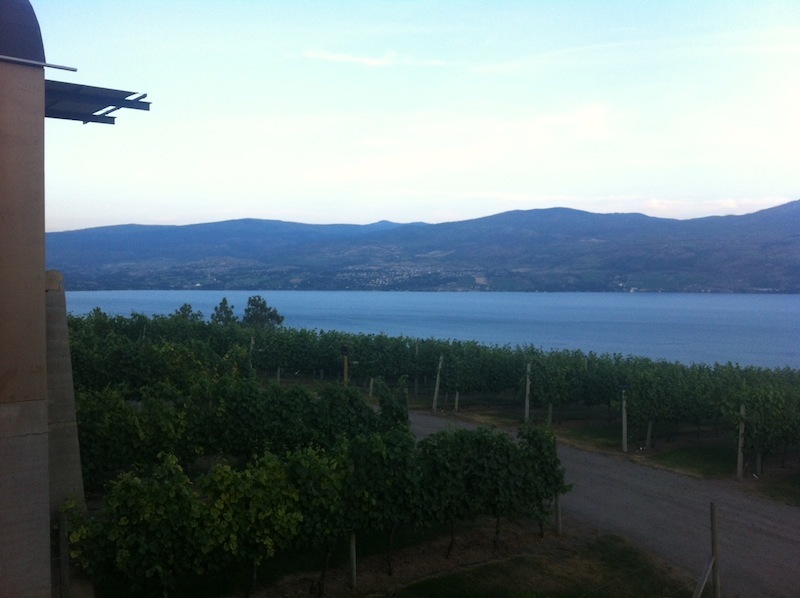 Here's my view from dinner tonight at Mission Hill Terrace.